Just a guy reflecting on the world around him. Does The Mind Survive Death? For years I’ve wondered if there is any hard evidence of the mind surviving bodily death. Is there any convincing proof to demonstrate this? Doing some research over the past month or so, I think I’ve found evidence of this kind. This is going to get a bit strange. Imagine you’re newly married and you look into your wife’s loving eyes and you both decide to have a child. Two or three years later, you have a little toddler running around your home just barely able to speak. However, something strange starts to take place. The toddler starts telling you that you’re not his real father and your wife is not his real mother. This young boy claims he’s from another family, that he has a wife and children, and that he has some skilled occupation, at least before he died. He tells you his former name, exactly how he died, where you can find all these former family members, gives you the names of his father, his mother, his aunts and uncles, his cousins, their children, the relationship dynamics between all these people, where they live, what they do for their occupations, and the whole nine yards. Naturally you’re getting frustrated and tell the kid to stop with the delusions but the young guy just doubles down. Then it gets even more creepy. The child exclaims, “Why won’t you believe me?” You’re living in Kentucky USA and this child is going on about some distant family in a remote village in India. Out of nowhere, the kid starts writing down phone numbers and tells you to call these people! A two and a half year old! Do you make the call? Are these numbers real? You finally decide to try the phone numbers, out of curiosity. A man from India answers the phone. You then start asking about these people this young child has been going on about. “Yes, that is me. Oh, and that is my wife.” It’s just as the toddler described, that was his “parents” phone number after all. It wasn’t a delusion, this is all getting real. Then without you asking, the man starts telling you about his son, and describes that he had a son who died in the exact manner your toddler also described. Whoa! Then you decide to get even braver. You take this toddler on a sort of vacation, hop on an airplane, and fly to this Indian village. As you get near there, the toddler starts navigating you around the city, telling you where to go. “Oh, my brother lives there.” “This is where my aunt used to live.” “This is where we used to swim as kids.” Then you go up to the doors of these places and ask who lives there. Turns out it really is this “brother” who lives there, and if you ask this “brother” about swimming in that river, at that spot, it is all confirmed. Then the toddler leads you to his “parents” home and there’s even more confirmation. Everything you’ve been told is verified. If this happened to you, would there be any doubt that some sort of soul, or call it what you will, survived death and had reincarnated into your toddler? It’d be very difficult to dispute. The only way to squirm out of it would be to flat-out deny it, dispute the reliability of the witnesses and the testimony, and claim none of it really happened. It’s all made up for attention, etc. But what if I told you that this sort of thing has happened many many times and it’s all been thoroughly documented by experts with PhDs from highly respected universities? What if I told you it’s happening all over the world and the evidence for it is overwhelming? What if I told you these researchers have confirmed these accounts using lawyer like methodical processes to conduct the interviews, deep background investigations, etc. Would you believe me? 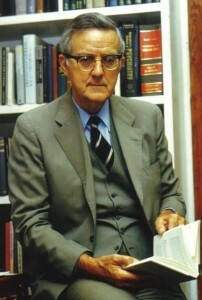 I ask you to read some of the works of Dr. Ian Stevenson, a PhD trained professor of psychiatry; in fact, he was the chair of their entire department at the University of Virginia. He’s the top authority on this subject in the entire world. This isn’t some new-age psychic trying to peddle you Tarot sessions and pretty crystal necklaces. You talk to him and he’s a trained professional, dedicated to the scientific method, and armed with a multi-million dollar grant from one of the founders of the Xerox corporation. Turns out the Xerox founder’s wife was wondering about reincarnation, so her husband hired a team of the best, most credible investigators to see if there’s any merit to the idea. This lead to the formation of the Division of Perceptual Studies. Before long these highly decorated investigators built a huge database of possible leads and were traveling to India, Brazil, Alaska, Lebanon, and other locations, all over the world, following up. This huge grant was used for travel expenses, recording devices, hiring translators, etc. What did they find? Countless stories, just like I described earlier. And Dr. Stevenson documented it all, like a lawyer getting ready for a huge court case, anticipating all your objections and making iron-clad arguments suggestive that these children did in fact reincarnate from a previous life. One of their first publications was this book. I’m a skeptical person and unless there’s some powerful evidence, I don’t tend to believe what I hear. When I first was reading this book, I was thinking that these people could easily be making it all up, having gotten together beforehand and sort of ironed out some story for attention, etc. But then I read through this and realized, oh wow, there’s no way that can be the case. Take some of the strongest cases. I found no other explanation other than that the child really did reincarnate from another life. Any other explanation seemed to require me to put my head in the sand and plug my ears, just ignoring what I’d read. Dr. Stevenson would hear about some child in a poor Indian village who claimed to be reincarnated from a former family of some distant place. This family lacked the resources to confirm or deny what the child had been telling them so they were naturally happy to have someone with resources come in to look into this because they were tired of hearing their child yap on about it. Dr. Stevenson and his team had to travel to some distant land to meet the supposed reincarnated child’s family, and it turned out that everything the child had been telling his new family was true. Nobody had verified or even believed the young child before this. In other cases the families had nothing to gain from any of this. For example, in another Indian Hindu family, the reincarnated child claimed to have come from another family which belonged to a different caste and the two castes despised one another. Even before meeting or hearing about this other family, you have a toddler crossing its arms, talking down to his biological mother and father, refusing to play with other kids, refusing to eat certain dishes, strangely claiming, “I’m a Brahmin. I won’t affiliate with any of this.” Out of nowhere, we have the world’s most haughty three year old. Then the biological family breaks down, takes the toddler to this other family, and the child knows who everyone is, knows things only a member of that Brahmin family would know, knows his way around town, etc. Now for more drama. Both families claimed rights as to how the child should be raised, diet, education, and the rest of it. The former wife of the deceased, along with the former mother, exclaimed, “If you think I’m going to stand by and let my husband/son be raised by a filthy peasant farm family when he should be well educated in our well-off Brahmin family, they have another thing coming!” You can imagine this strange drama unfolding. Why would this family make all this up with absolutely nothing to gain? Nothing but fighting, drama, and problems. These same toddlers will tell you that after they died, their spirit left their body and they were met by guides, or spiritual figures, and these beings gave them a life review, and all the rest of it, just like in near death experiences. People often argue that near-death experiencers are just hallucinating, are on power medications, seeing strange things when being revived by doctors in the hospital, etc. But if that were true, then how do we explain something like this? And why would these toddlers speak of the same sort of events as near-death experiences, knowing nothing about them? This also lines up with the sorts of accounts you hear about when people are put under deep hypnosis and begin to remember the life they lived before their current one, the between lives area, meeting spiritual guides, having their life reviewed, etc. Why would all these things point to similar events if there was nothing to it? Why would everyone hallucinate the same sorts of things? 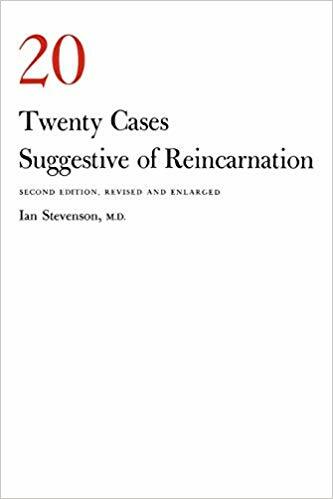 I ask you to withhold judgement and read books like ’20 Cases Suggestive of Reincarnation’, a 400 page tome covering just 20 reincarnation accounts, and come to your own conclusion. It lines up with all the strange things I’ve researched, even bizarre Gnostic texts speaking of all of this in detail. Author JasonPosted on April 10, 2019 Leave a comment on Does The Mind Survive Death?